Ahh ukulele strings. 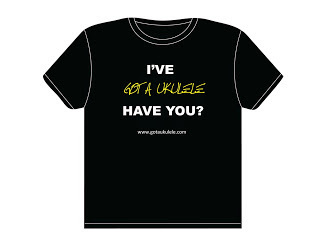 The bane of uke and musical instrument discussion forums worldwide. Still, we all have our favourites and love checking out new releases. I've therefore been lucky to be sent an advance sample of a brand new line of ukulele strings developed by Aquila. Say hello to the new Aquila 'Sugar' strings. An initial health warning that those of you who regularly read my site will already know. This is NOT a string review. I stopped doing those many many years ago, because it's utterly pointless. What I like is merely what I like, and you may not (and vice versa). Trust your own ears! 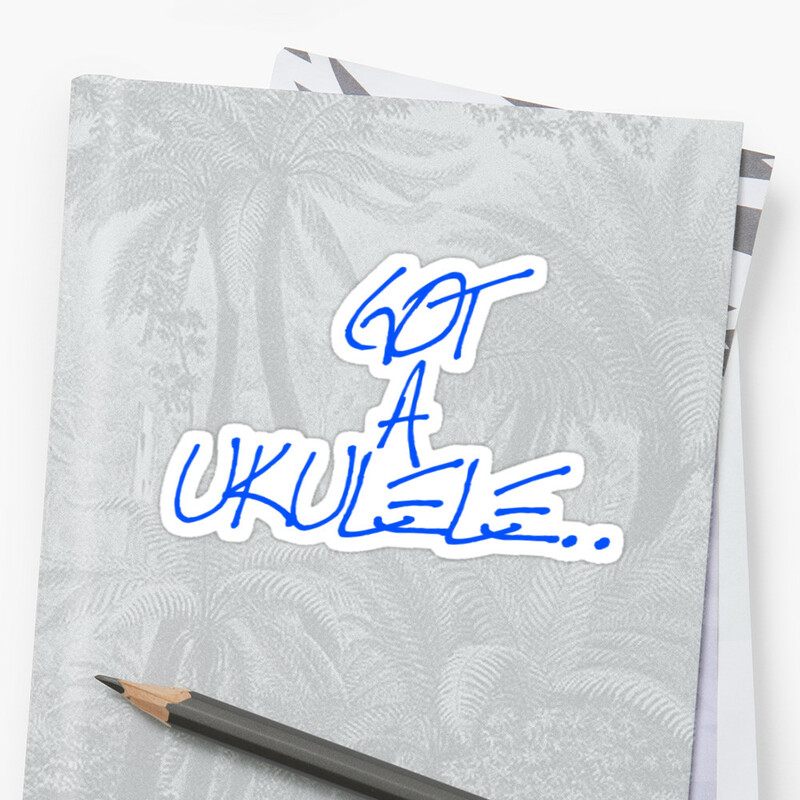 Anyway, with that out of the way, it is fair to say I see a LOT of ukuleles and as such have played a large amount of strings. So if nothing else, this is just my take on them as something brand new to the market. So.... sugar. What's that all about. Well these are made from sugar. Not sugar as in the granulated stuff you put on your cornflakes, but rather a bio plastic that is developed from an extract of Sugar Cane. Interesting. Aquila claim that they have the benefit of the warmth of nylon combined with the brightness of Fluorocarbon and are good for vibrato. Also interesting. Packaging wise they are just like other Aquilas. An attractive, eco friendly paper wallet that opens out to release the strings. Incidentally if you ever wondered why there is an eagle on the Aquila logo, Aquila is the Italian word for Eagle, and Aquila is run by Mimmo Peruffo in Caldogno near Vicenza. Unlike other Aquilas though, whilst they are similarly colour coded for the different gauges, they are actually not in colour coded wallets, rather the tips of the strings themselves are painted. Neat. Looking at them I can tell they are different to regular nylons and fluoro strings. It's hard to say why but they kind of look more glassy and clearer if that is possible. On feel when unwinding them too they feel a bit stiffer and less 'plasticky' for want of a better word. These ones on test are now replacing some Martin Fluorocarbons I had on my Rob Collins mahogany soprano. One thing I can say for certain is that the gauges are quite a bit fatter than Martin strings, particularly noticeable on the C and E strings. Strung up and my impressions are favourable. I don't tend to use regular Aquila strings as I don't care for the feel of nylguts on my fingers, but these feel very like fluorocarbons to me. And whilst they have a brightness, they are also mellower than the strings they replaced giving a nice overall rounded tone. Sustain and volume from them are also excellent. One other element that it noticeably good is how good they sound up the neck. 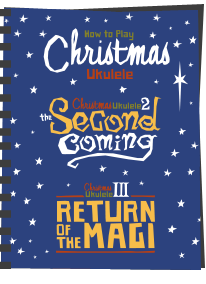 Often strings (and ukuleles) can lose something when playing up the 'dusty end' as the higher notes carry less power and sustain. These are terrific and remain clear as a bell no matter how high up you play. I think I may be looking at these ones again, and as always, full marks to Aquila for being brave enough to keep developing new materials. Well worth a look i'd say. These will shortly be available in Aquila stockists with an expected RRP of £8.99. They are coming in all the regular sizes, and will have low G options too. And thanks to Sutherland Trading for the early sample. Fair enough Squire, I'll have a punt on them ! I can't seem to find them online to buy. Like I say - they are soon to be available. Not in stores yet. Are the tenor low G strings unwound? Thanks for the Review, Barry! This makes them definitely worth a try: "One other element that it noticeably good is how good they sound up the neck. 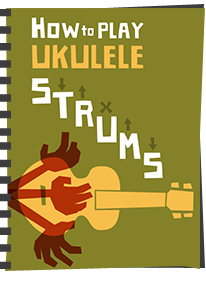 Often strings (and ukuleles) can lose something when playing up the 'dusty end' as the higher notes carry less power and sustain. These are terrific and remain clear as a bell no matter how high up you play." Do you find then rather "squeaky"? Just moving my fingers up and down the strings they sound the squeakiest I've ever used. Yeah, mine are almost non squeaky now. And I really like the overall tone, sustain, and loudness. Will definitely use them again. Meant to add that I prefer these over the carbon black. As Baz always says - strings are personal but...I bought these for a Kiwaya soprano and an Imua concert. Frankly I'm disappointed. On the plus side there is a better tone further up the fretboard but for most playing they are not wonderful. The thing I notice is the sound of the fingers on the strings while strumming. It's weird - the abrasive sound the fingers makes attacking the strings very pronounced. Almost louder than the sound of the strings vibrating. It's a bit like playing Z chords and fretted chords at the same time. I'm not a fan. I know what you mean by the sound fingers make, but after a week it's all but disappeared on my tenor. OMG! I have a Martin 2T strung with the sugar strings and know what you mean about finger sound while strumming. I like the feel and sound while picking but not strumming. The strings have a hard feel to them against the fretboard. I'm considering stringing my uke with either Worth or Martin Premiums. I have tried a set on my Koaloha soprano and they're not for me. Prior to fitting they felt oddly stiff and inflexible, but I was willing to keep an open mind as to how they would perform once fitted. Unfortunately, I was disappointed. The strings seemed to give the impression of thickness and high tension - not pleasant to fret in my experience. The sound produced could be characterised as unsophisticated, lacking the sweetness or subtlety of the Martin fluorocarbons they had replaced, and failing to bring out the character of the instrument, although they were certainly loud enough. Worse still was the loud squeaking noise emitted whenever the fingers moved up or down; very unpleasant. Whilst mainly a user of fluorocarbons these days, I admire Aquila's commitment to innovation and am a fan of the nylguts, but won't be trying these again. That said, it's quite possible that they might suit some instruments, just not this one. What the various comments, in either direction, on this post show is that I am right to keep off string reviews. I’ve been saying for years that string opinions are totally personal. On the one hand some are saying they dont like the feel and the squeak. Personally I dont like the feel of regular Aquila’s and THEY squeak for me - but not these! In short - the only way to decide on strings is to test them yourself!! No don't give up on the string reviews Baz! As you rightly say they are very personal but every time I try news strings - which is quite often - I learn something, about the instrument and how it responds to different types of strings. 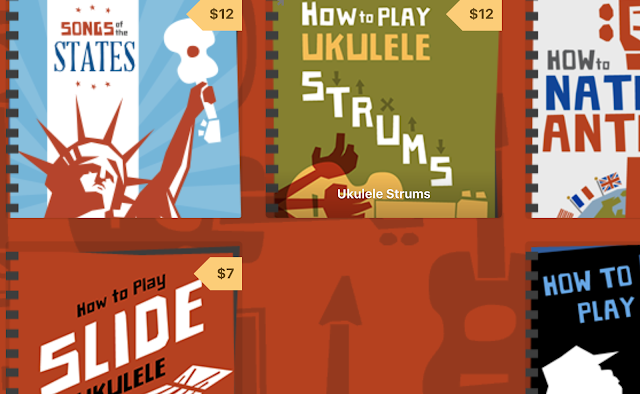 I often go full circle and end up with the same type of strings a uke came with. But the process is fun and educative and where would we be without someone of your experience shining a light into the darkness? Best strings so far on my mahogany top Cordoba tenor. They take that little muddiness out that you get sometimes with mahogany. I find that apart from pure fluorocarbon all strings squeak at first. A bit of dirt, sweat, and air gets in and around them soon sorts that out. As much as it pains me to admit it..but the fishing line which baz keeps carping on about..pun intended! 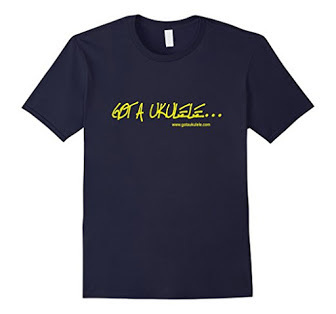 Are very good..just bought a uke with those seaguar strings on..excellent strings! Just put some of these on my Iberica CKN concert. Baz is right about the string gauge being noticeably thicker. I also think they feel under higher tension than the Worth Browns I've just taken off. They do seem louder and to resonate longer. Those look interesting, I'll have to keep them in mind. I do like that they play well up the neck although not sure about the string thickness. Most of my ukukules came with Aquilas so I'm feeling like it's time to try other brands (really liking fluoro). But Aquilla is easy to get locally and I may give these a try. Like Paul said,it's nice to see a brand innovating, trying new things. Always good to know your opinion, whether or not it's something I like. If it's objective and you state your biases, I can make up my own mind. At least I know where you're coming from. Too many ill-informed people out there whose main talent is googling a bit of information and sounding like an "expert". I wanted to try these on one of my Brukos and found that the C string was too thick to fit in the slotted bridge. 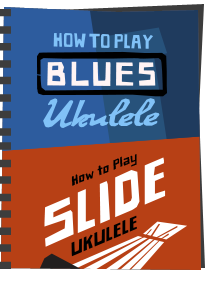 Something to beware of if your uke has slots or holes instead of a tie bar. Good Review, Barry. I will be giving them a try. Just for grins and giggles.